Living Oceans' latest report details how sea lice have gotten out of control once again. Events in Clayoquot Sound this year led us to investigate, together with independent researcher Alexandra Morton. What we found is a legacy of mismanagement and coverup—and the losers are both the wild salmon and the salmon farms. Sea lice have become resistant to SLICE, the drug that has been used for nearly two decades to control their numbers and prevent devastating impacts to wild juvenile salmon. 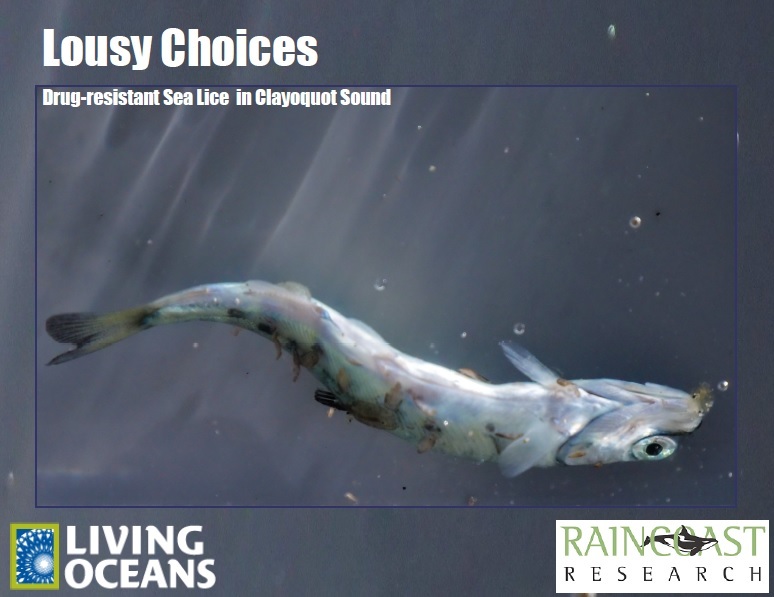 Lice counts on Clayoquot salmon farms soared to levels we have never seen before in B.C. during the summer of 2018. Worse, the Department of Fisheries and Oceans knew this was coming and did not protect wild salmon from the impacts. Tell Fisheries Minister Wilkinson that you will not tolerate the use of ever more toxic chemicals in B.C.’s oceans. Tell him to get the salmon farm netpens out of the ocean NOW! Read the full text of our report here.